Optimal cell culturing is achieved through the thermal conductivity (TC) sensor which ensures precise CO2 control with fast recovery following door openings and reproducible environmental conditions. The MCO-18ACL-PA CytoGrow CO2 Incubator is designed with standard, passive contamination control throughout the chamber interior. 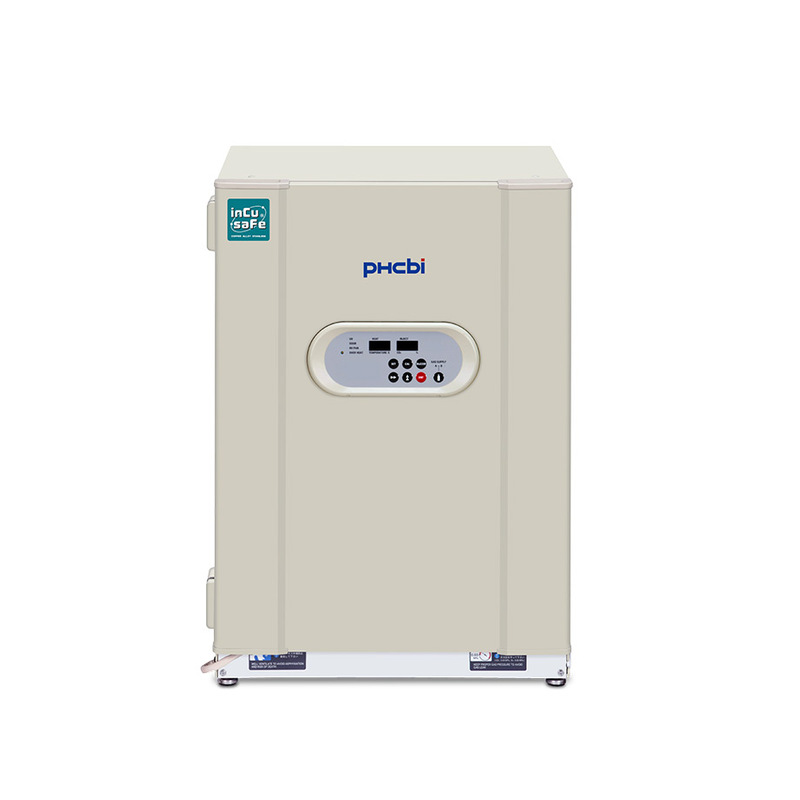 The PHCbi inCu-saFe combines the germicidal properties of elemental copper with the corrosion and discoloration resistance of stainless steel. The optional SafeCell UV lamp provides an added layer of contamination control. It eliminates contaminants introduced during door openings as they pass over the humidity reservoir surface without affecting the cell cultures. Superior temperature uniformity and accurate temperature levels are achieved by the microprocessor controlled Direct Heat and Air Jacket System. 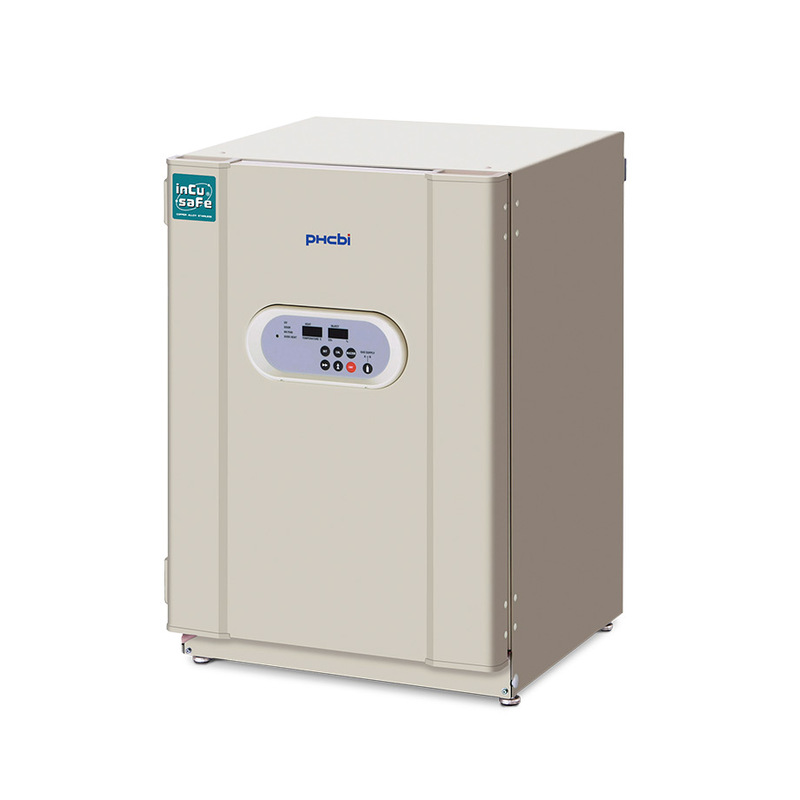 High density insulation surrounds the incubator chamber to maintain precise temperature and protect against ambient temperature fluctuations. Control and monitoring is offered through a fully integrated microprocessor controller with independent LED displays for CO2 and temperature. The softkey seven button menu enables intuitive programming. Alarm notifications warn when functions deviate from setpoints. Remote alarm contacts are provided standard. This CO2 incubator for research offers a removable shelf channel system which allows for easy cleaning, with no tools required. 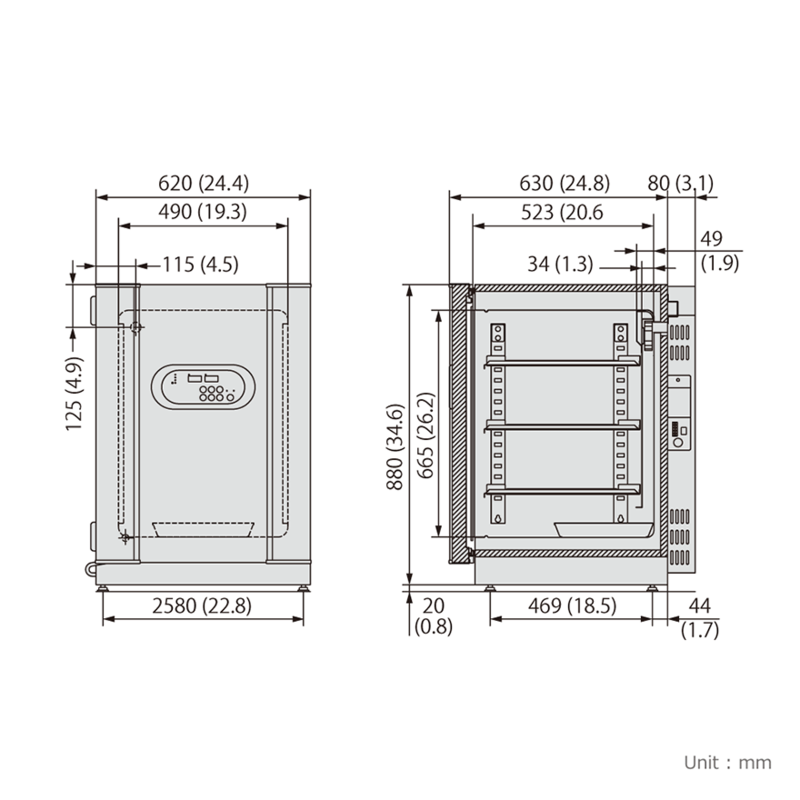 The incubator is supplied with three shelves standard and holds a maximum 15 shelves on 1.1" (29mm) centers. The ideal CO2 incubator for research and clinical microbiology, the PHCbi CytoGrow GLP CO2 incubator offers a high performance solution for mainstream cell culture applications in the research and clinical environment where precise control and contamination resistance is critical. 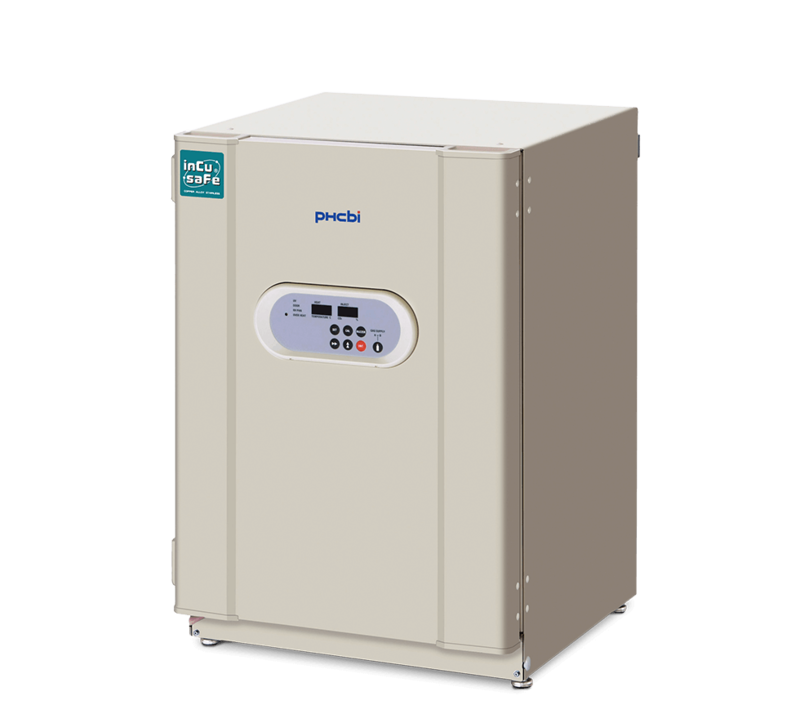 CytoGrow CO2 Incubator offers the patented Direct Heat and Air Jacket conditioning system, optional patented SafeCell UV technology, and microprocessor control and monitoring.